The Henri Selmer Paris Company, founded in 1885 by the clarinetist Henri Selmer, entered into the history of the saxophone with the introduction of its first saxophone model in 1922. 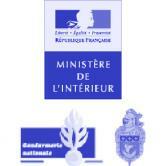 A few years later in 1929 Henri Selmer acquired the Adolphe Sax company, as such becoming it's legal successor. Henri Selmer Paris has positioned itself as the world leader in saxophone, their instruments are played by the greatest saxophonists throughout the world. Selmer's success is principally due to constant innovation incorporated into each successive model, combined with a mastery of traditional manufacturing techniques in their factory in Mantes la Ville in France. Today the company is directed by the fourth generation of the Selmer family, the Henri Selmer Paris Company will celebrate its 130th year of existence in 2015. We are very happy to be able to celebrate this anniversary at the same time as the SaxOpen, which will pay a great homage to one of the greatest inventions: the saxophone. In April 2004 D’Addario acquired the Rico Company and immediately embarked upon a journey of elevating every aspect of reed manufacturing. And as part of our quest to raise first in-class performance to a whole new level, our Reserve reed line was born. From sustainable plantation practices in our cane fields to digitally controlled diamond blades making the final cut on our reeds, each step in the process has been “re-vamped” by D’Addario musicians and engineers—all for the sole purpose of creating products that are without peer in the industry. 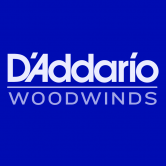 With a steadfast passion for meeting the highest demands of the woodwind community, and with products regularly launched to complete existing lines and better respond to musicians’ needs, we are proud to introduce you to D’Addario Woodwinds. Buffet Crampon is firmly-fixed, through its history and its name, in the tradition of the manufacture of top of the range wind instruments. Since 1825 the brand has developed around a know-how of exceptional instrument manufacture. 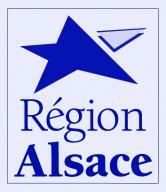 This heritage remains the guarantee of recognition of our products “Made in France” and “Made in Germany“. Thus for nearly 200 years, musicians have continued to find artistic excellence and the passion of music with Buffet Crampon instruments. In a collusive and intuitive dialogue with the most renowned artists, the brand’s ambition is to combine tradition with modernity, know-how with creation, history with innovation, in order to offer saxophones of the highest reference. The crossing of cultures that is the heart of jazz music is evident in the sounds created by Julius Keilwerth saxophones. With a range of expression from warm and melting tones to the highest and most penetrating notes, all the energy from generations of influential musicians is what will emerge.